Book your private charter flight to Zurich, a global center for banking and finance located in northern Switzerland. 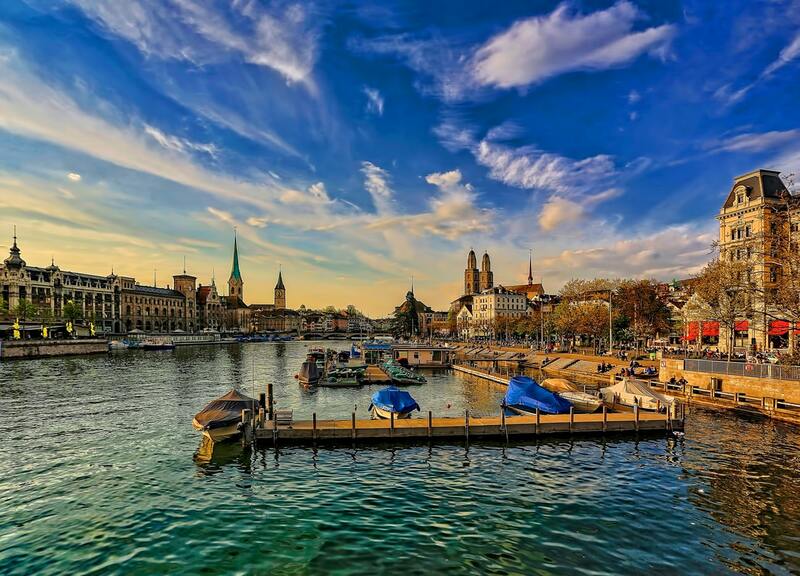 Zurich is the largest city in the Swiss Confederation and one of the busiest private aviation hubs in Europe. Chartering a private jet to Zurich allows you to make your own schedule while arriving in the most comfortable, stylish way possible. Our team provides the highest standards in executive and leisure travel. We offer on-demand private jet charter service to/from Zurich, and with access to thousands of jets certified for charter flights around the world, we can choose the perfect aircraft for your trip, whether you’re flying internationally or domestically. When it comes to private air charter services, our boutique aviation team offers the most all-inclusive experience in the jet rental industry. Our charter services are hassle-free and, above all, transparent. Safety is always our number one priority, and our Zurich Air Charter Advisors are Wyvern-certified, meaning our standards sit well above most charter brokers in our industry. We only work with FAR Part-135 (or foreign equivalent) aircraft, and we vet the pilots under some of the most stringent standards in the charter business. Allow us to become your local and global aviation solution for luxury air travel, aircraft acquisition and private jet management, and enjoy the peace of mind you get from working with a private aviation company you can trust. We offer FREE, no commitment quotes, and our team is here to help you with all of your private aviation needs. Call us at +1 (888) 987-5387 for instant ballpark pricing and aircraft availability for charter flights in Zurich, Switzerland. There are over 11 airports located within a 50 miles of Zurich to choose for your private jet charter. 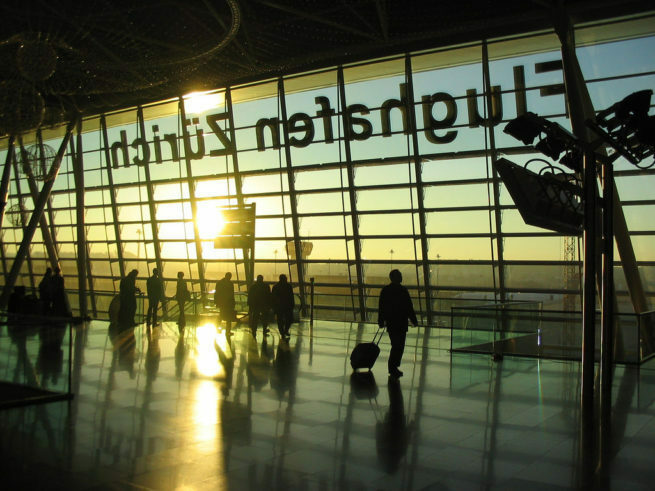 Zurich Airport (ZRH), also known as Kloten Airport, is the largest airport in Switzerland and the preferred choice for private, business, and corporate jet charters to/from Zurich. Gain access to thousands of private planes near you for Zurich charter flight, from twin-engine domestic aircraft to global business jets. 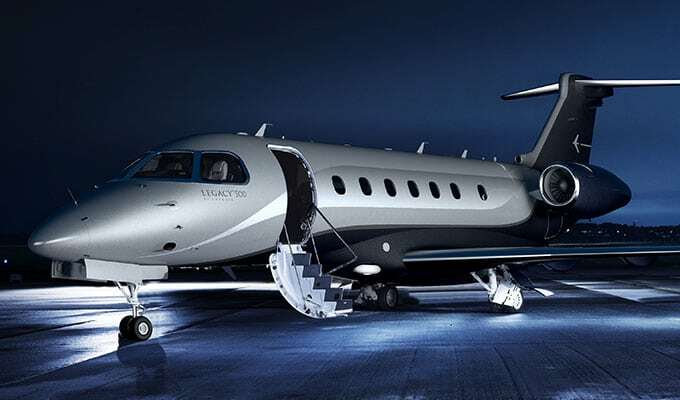 Popular planes for Zurich jet charter include light jets (Citation CJ1/CJ2, Phenom 300, Hawker 400); midsize jets (Citation Latitude, Learjet 45/60, Challenger 300, Gulfstream G280); heavy jets (Challenger 604, Falcon 900EX, G450); and long range jets (G550, Global 5000, Global Express). * pricing based on previous flights and will vary based on aircraft make/model, passenger amounts, scheduling, and other factors. Charter a private jet to Zurich, home to the picturesque lanes of the central Altstadt (Old Town) and the financial center of Switzerland. Although many people assume that sterile and stringent are words used to best describe Switzerland’s largest city, our private aviation team tends to disagree. We think vibrant, exciting, and eclectic are much better choices for the description. For whatever reason, people believe efficiency and order can’t go hand in hand with spontaneity and adventure. Well, not only do they go hand in hand, but they make each other better. It’s hard to be spontaneous when you can’t get anywhere. In this city, amazingly timely public transportation gets you out to the fun in no time at all. Do you think a day in nature is easy when nature is hours away? Zurich gives you a logical and compact city plan. You can literally hike out to the nearest peak, grab some lunch, and hop on the train home all in an afternoon. That’s not something you can do in New York or London. If you want the ability to go anywhere at any time, then Zurich is the city for you. “Yea, but what about the nightlife” you ask? “There’s no way it can compete with New York or London” you say? Well you may be right, but Zurich still has the best nightlife in the country, and general consensus is that it’s a whole ton of fun. From clubs and pubs to cabarets, bars, and wineries, there’s something for everyone in this city. Zurich can come off a bit sterile, but there’s a lot more to it than meets the eye. The Swiss are very outdoorsy, and they love to take advantage of the area’s amazing scenery. The city is so green that you can actually swim in the lake its built around, and a lot of the nature is absolutely breathtaking. Typical weekend activities include skiing, water sports, and picnicking, and many of our jet charter clients enjoy chartering private yachts to spend time on Lake Zurich. On the other side of the token, however, you have the typical Zurich efficiency. From the public transportation to the service in any establishment, you’ll notice locals really make a point of being on time. It’s often said if the bank estimates a document arriving within two weeks, it usually means within three days. 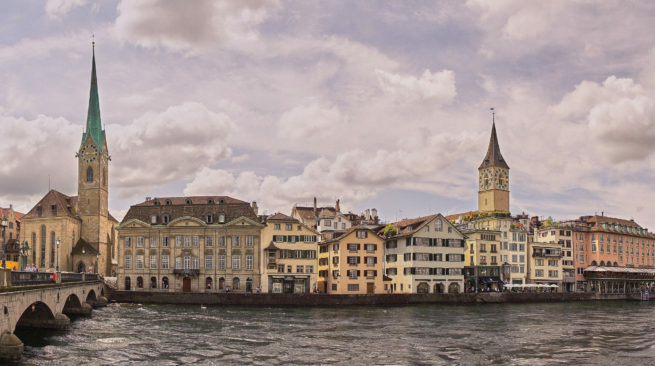 It’s this attention to timeliness and orderliness that makes Zurich one of the best places to live in the world; it frequently tops “highest quality of living” lists. As far as history is concerned, Zürich has tons of it. Way back in the 9th century, this already long-inhabited area gained its current title, and it’s been a hub for trade ever since. The city’s ancient center has been wonderfully well kept, and boasts a ton of early Swiss architecture. Eventually Zurich turned into the city we see today, and has managed to stay this way despite two world wars and a ton of other major events. That’s the famous Swiss neutrality for you. 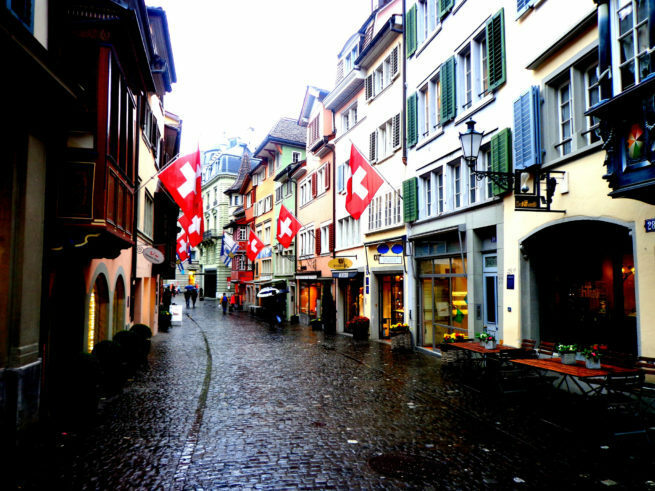 Today, Zurich encompasses all of the surrounding hamlets, and exists as a large outpost – though small when compared to other major cities. Zurich isn’t really known for its cuisine, but it really should be; it’s super tasty. It’s also not very “traditional” nowadays. With the city’s population consisting of nearly 40% expatriates, foods from all over the world have melded in with the traditional Nach Zürcher (Cooked in the Zurich style) cuisine. This traditional Swiss style food is generally heavy on the meat. Mushrooms, potatoes, cream; it’s exceptionally rich and really makes sense when eaten inside of the old-style Zurich restaurants (high ceilinged interiors with leaded-glass and dark wood details). The traditional cuisine can also be found throughout the iconic “union clubhouses” that became popular in medieval times. If you’re craving something from a different country, you can rest assured you’ll be able to find most types of cuisine in rather good quality. However, if you’re planning on eating like a local, then it’s important to know what the best traditional dishes are. Typically, the biggest meal of the day is going to be dinner, which is served around noon. For breakfast and supper, you’re likely going to be eating some type of cheese paired with bread. For dinner, there’s a wealth of options. If you want to have a sit down meal, then Zurich’s signature dish, Geschnetzeltes Kalbfleisch, is an absolute “must try”. This unique dish is comprised of milky veal cut into small, bite-sized slices – then sautéed in butter. It will likely be served swimming in a tasty, thick brown sauce with cream, shallots, mushrooms, and white wine. You’ll also find tons of street-side snacks that generally consist of the same rich ingredients as the rest of Zurich cuisine. Hiking, water sports, sailing, cycling: Zurich is one of the world’s top destinations for any sport that thrives in good weather. People from all around the world travel to the city to take advantage of the world class ski slopes, extremely well-maintained parks, and crisp mountain air; a large portion of private flights to Switzerland fall into this category. It’s been this way for decades, because in years passed Zurich was a popular destination for “wellness” trips. Sick people would come stay in the area to be “magically” healed by the wonderful conditions. The trend is actually returning with force, and many of the hotels are offering “wellness packages” that include various spa treatments, and other health-beneficial amenities. You’ll find locals and visitors alike rarely own or rent cars; walking is the name of the game in Zurich, so enjoy the healthy and active lifestyle that only this compact and convenient Swiss canton can offer. After your private charter flight arrives in Zurich, we can connect you to the perfect luxury yacht during your trip. The beautiful, picturesque surroundings of the Swiss Alps and the vibrancy of nearby cities create a serene experience. If you’re interested in chartering a luxury yacht and creating your own luxurious cruise along Lake Zurich, let one of our private jet brokers know your goals and they will be happy to assist you. Zurich is one of the most financially important cities on the planet, and it’s obvious when you’re there. Nice weather, charming buildings, happy people: it really is splendorous. It’s also seriously expensive, and generally ranks as the third most expensive in all of Europe. With the amount of intellectual capital the country’s top-notch education system pumps out, the amount of high-level jobs in the area is absolutely staggering. The wages are equivalently high, and go hand in hand with the upscale cost of living. Even the city’s “rougher” areas are nice when compared to those of other European cities. The Swiss stock exchange at the head of several global financial systems, formerly known as SWX, is based in Zurich, in addition to the headquarters of many national and international corporations, including ABB, UBS, Credit Suisse, Swiss Re and Zürich Financial Services. The city is also home to the headquarters for FIFA, the international football association which governs regional football organizations such as UEFA, as well as overseeing the FIFA World Cup. Although the economy is diverse and stable, a large portion of workers are concentrated in the service industries – somewhere around 20%. Aside from service, light industry, machine and textile industries, and tourism account for a large chunk of the city’s economy. Though Zurich comes in second after Geneva for banking, it’s still a major hub. With the sober-minded and reliable Swiss workers, more and more international banks are choosing to headquarter themselves in Switzerland’s largest city. 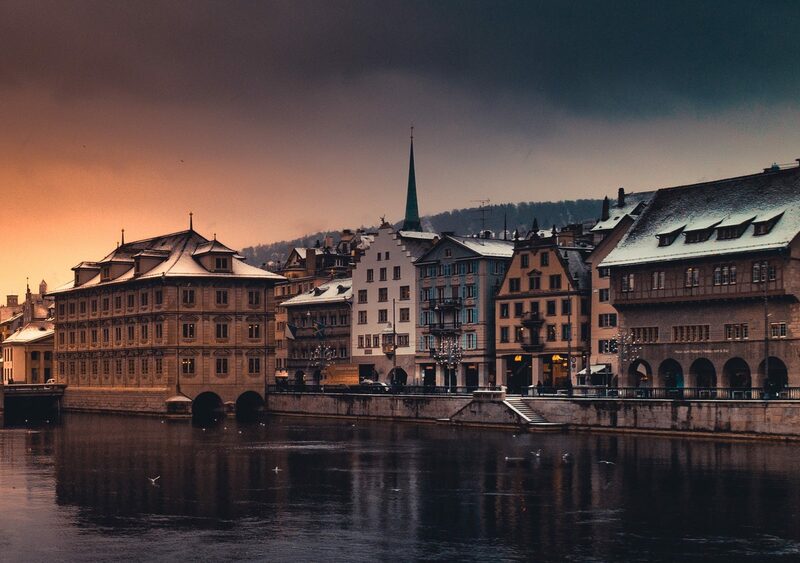 Needless to say, there are plenty of reasons to fly private to Zurich for business. If you have a private or corporate aircraft with a mechanical issue, or you need to arrange simultaneous trips for business executives, we can arrange a supplemental lift to Switzerland in as little as 4 to 6 hours. Air Charter Advisors also offers unlimited quotes with zero obligations – fractional owners and jet card members can compare us to their current plan before reserving hours for their next flight! Clients generally enjoy the hotels in and around the city, and it’s easy to find something that works for them. There’s a strong boutique tradition running in Zurich as far as the lodging options are concerned. The last decade has brought even more, and the new ones tend to focus on design and comfort more than anything else. They’re generally going to be spacious, generously appointed, and a bit on the sleek side. The Swiss really love their contemporary architecture, so you’ll notice lots of muted colors and an overall relaxing atmosphere. If you want a more private lodging experience, then take advantage of some of the Upmarket houses that offer room to visitors. These houses are part of the new wave of “wellness” amongst travelers, and offer amenities of the sort. Sports massages, fully-body peels, ice wraps: just about any spa treatment thinkable will be offered in these charming retreats. 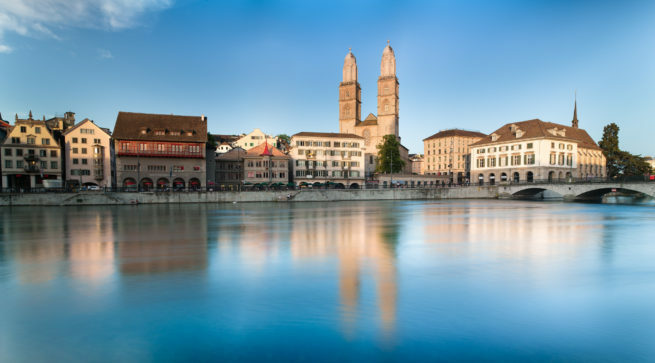 If you’re not one for staying right in the city, though Zurich is known for being quiet, you may want to consider lodging options a bit on the outskirts. For instance, Basel is a major tourist destination and lots of Zurich locals head out there for “stay-cations”. It’s a popular spot for visitors as well, and most of the lodging options will offer more personable experiences than can be found in the city. Regardless of where you’re planning on staying, you’re pretty much guaranteed a good time while you’re in the area. It’s practically impossible to be sad when surrounded by such picturesque scenery. However, the right hotel can really bring the experience from great to amazing, so we have a few suggestions. If you’re still trying to find the best hotel for your needs, then keep on reading. The following list is based on jet charter client feedback, online reviews, amenities offered, and location, so it’s really a great place to start your hotel search. Read on to check out our list of the absolute best places to stay after your luxury private flight to Zurich, Switzerland. Request a Quote or give us a call at 1-888-987-5387 to speak with one of our Zurich Private Jet Charter agents for your next luxury vacation, business trip, or special event.